There is nothing better than a one-stop shop—especially one that delivers free to your door with a 50 buck order. Thanks to Piperlime you can get on trend, budget-friendly and designer styles in a timely manner and be properly dressed for every occasion. 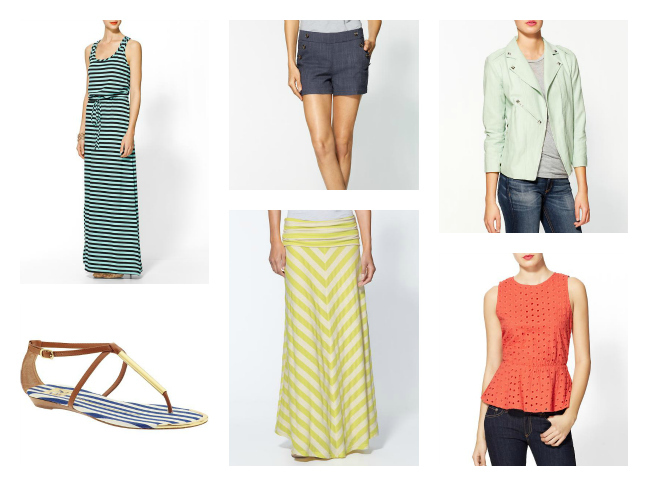 With spring break on the horizon, maxi dresses, flat sandals, and wide-leg pants are all on the packing list. Christine Fox is an Everyday Mama to three and a San Diego based freelance writer. She loves everything that has to do with shopping and being the talk of the playgroup when she finds the perfect shirt and diaper bag. Her fashion philosophy is simple, that being a mom does not mean that you should sacrifice style. You can be a mom and still be stylish! When she is not shopping or writing about shopping, she can be found playing with her two kids at the park. Her favorite stores are Target, Nordstrom and Anthropologie but when it comes to finding the perfect pair of jeans, no store is off limits. She has her own daily blog at everydaymama.com and is a daily contributor to stylebakerymom.com. For more mom finds, follow her on Twitter @EverydayMama.